Abstract: Covalent cross-linking of colloidal gold nanocrystals with dithiol molecules is normally considered to be an irreversible self-assembly process. Dithiol-mediated aggregation eventually results in the uncontrolled formation of polymeric dithiol-nanocrystal precipitates. Here we demonstrate the reversible assembly and disassembly of dithiol-linked aggregates of gold nanocrystals (Au NCs) by selectively converting the strongly-bound thiolate anchoring groups to weakly-bound groups. Rapid conversion of the dithiolate linkers results in the complete depolymerization of the NC aggregates/precipitates to re-form stable aqueous solutions of monomeric Au NCs with retention of original NC size and shape. The process is repeatable by adding additional dithiol to re-initiate aggregation. This approach to reversible Au NC aggregation is simple, fast, clean, highly reproducible, and general for thiol ligands. Zhongyue received my B.S. degree in Materials Chemistry from China University of Geosciences (Beijing) with the study of Impact of Montmorillonite Type on Polyvinyl Alcohol (PVA) Modified Montmorillonite in 2012. After earning his M.S. degree in Materials Science and Engineering at the University of California, Irvine focusing on P-type Nanocrystalline Films for Tandem Dye Sensitized Solar Cells (DSSC), he continued his journey in Prof. Matt Law’s group with CaSTL support. 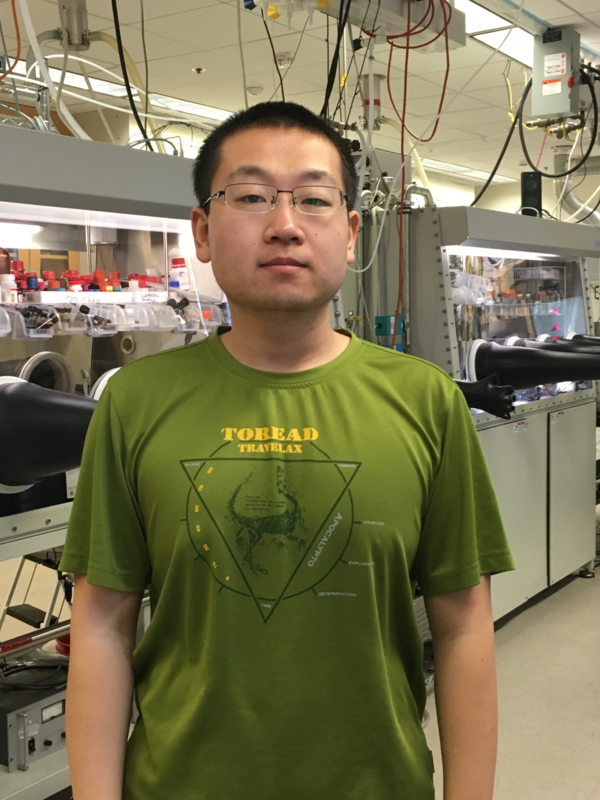 As part of an ongoing CaSTL effort to make ALD-functionalized plasmonic nantennas for single-molecule investigations of photocatalysis, Zhongyue has worked this period to achieve high-yield and controllable dimerization of metal nanocrystals using Raman-silent dithiol linkers. Meanwhile, he provided scientific support to 100+ academia/industrial researchers and perform instrument maintenance and troubleshooting on various material characterization tools at Irvine Materials Research Institute (IMRI) as a lab assistant.